Do you believe in positive affirmations? Awhile ago I read this post on Cup of Jo which basically says a good happiness trick is to talk to yourself. Ever since I read it, I try to remember to really look at myself in my bathroom mirror and tell myself a positive affirmation. Sometimes it is simple like "I am happy today" or "I feel pretty." I am not going to lie, the first couple times I attempted the mirror exercise, I felt silly. At first, I did not say my affirmations with meaning or gumption. Instead, I would say it without really seeing myself. Now that I have been doing positive affirmations on a more regular basis, I believe they work (even if it seems a little cuckoo). Below is one of my mantras, and I will admit to you, it does not come natural for me to automatically think positive all the time, but you have to trick yourself! 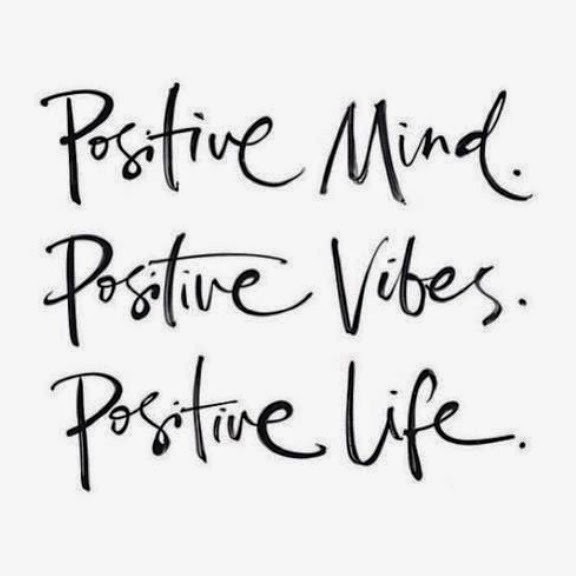 I hope you are feeling my positive vibes! It's a good day!